It rains for me. 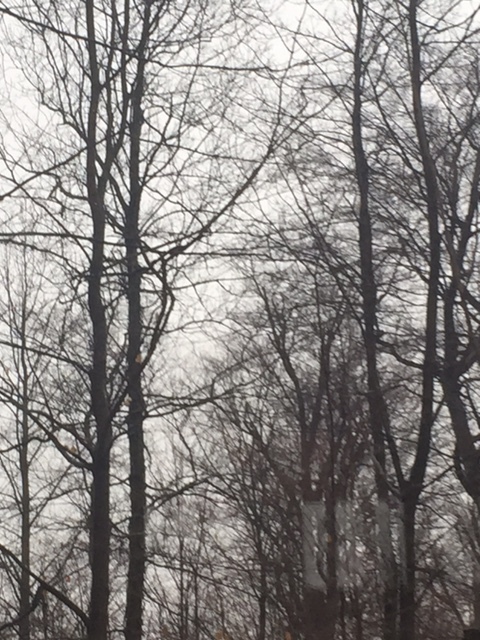 I love a bleak muted sky and the way dead leaves cling to patient trees. I love that some raindrops slant sharp and some fall soft. I love when the weather matches my mood. The birds concur. For all these long winter months, there have been no bird sounds other than the caw of a crow. But today, finally, there are trills and warbles, chirps and cheeps. The birds call to each other and they call to me. Meditation may encourage empathy and strike up an awareness for others but mostly it creates a cascade of connections that ultimately connect me to everything around me. So, when it rains, it rains for me.